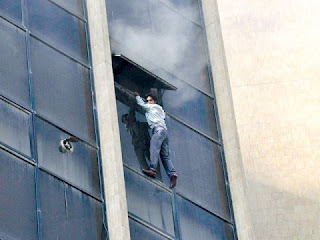 People of Pakistan seen a heartbreaking scene yesterday on TV Channels when a Boy was shown jumping from a large building of Karachi to save himself from the fire which was spread inside building. The boy died immediately after jumping from the building. According to media reports the boy was unemployed from a long time and went to that building to give interview for Job but instead of getting the job he got the death. 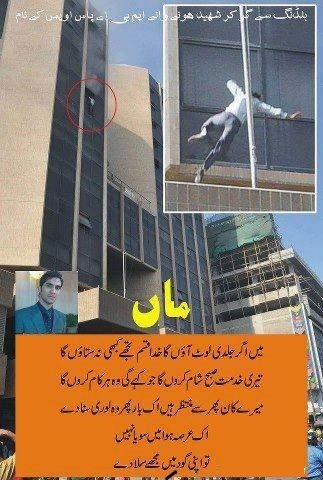 He jumped from the 8th floor of the building.